Join acclaimed artist Ben Quilty to celebrate two decades of his work. The publication of Ben Quilty coincides with two major exhibitions of Ben's work at the art galleries of South Australia and NSW. With a foreword by Richard Flanagan, and detailing Ben's work across a range of media, the book itself is something to be treasured. Ben's body of work reflects his experiences as a humanitarian and social commentator. He travelled to Afghanistan on behalf of the Australian War Memorial. He worked with World Vision to create Home, a collection of drawings by child refugees from Syria. And he mentored Myuran Sukumaran in Indonesia's Kerobokan Prison. Ben will be in conversation with Jennifer Bott AO, of NIDA, Bundanon Trust and the Australian Museum. Jenny and Ben have been instrumental in establishing a regional gallery in the Southern Highlands. 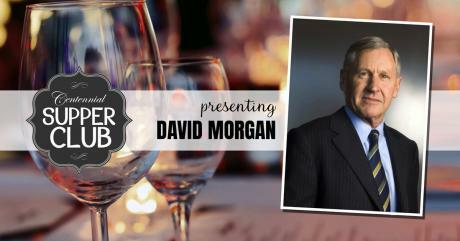 Tickets: $50 per person and includes one course and a glass of wine. This is one of the dilemmas the four respectable ladies face in Barbara Toner's latest novel, Four Respectable Ladies Seek the Meaning of Wife. It's 1930 and the effects of the depression are being keenly felt. Whether you were a wife or desperate to become a wife, choices were limited, mostly to men who lived nearby. Today's dating generation is spoilt by comparison, with its wide selection of online sites and apps, Tinder, Bumble, Hinge, eHarmony to name just a few. So have our seemingly unlimited opportunities for finding 'the one' affected the way we understand love and relationships? Are we more willing to make compromises for our partners or does so much choice create an endless quest for the perfect match? With her trademark wit Barbara Toner explores the nature of attraction, love, married life and the many ways reality differs from the ideal. This is a FREE Event but Bookings are Essential! Jessica Rowe AM is a bestselling author, television host, mum of two small girls, mental health ambassador, crazy cat lady and terrible cook! Jessica is passionate about advocating for better mental health awareness and support for new mums. A notorious over-sharer (to her husband's frequent horror and her daughters' embarrassment), she shares her amusing misadventures on her blog and podcast. In her new book, Diary of a Crap Housewife, Jessica reminds us what's really important when it comes to mothering and family. She writes about the real-life messes, hiccups, disasters and bad meals that many of us dish up and deal with every day. Forget those photos of perfectly packed school lunches and tales of over-achieving, obedient children, Jess says - what we really need is more realistic expectations. And a focus instead on being kind, loving, smart and funny. Join us for Morning Tea to hear Jessica talk about her new book on Tuesday 2nd April 10:30am at Centennial Vineyards Restaurant. Tickets $30 | Bookings Essential. As CEO of Westpac for almost a decade, David Morgan walked the line between what is right for business and what is simply the right thing to do. But there's more to David than being the former head of a global top 20 bank. Working with Paul Keating and Bob Hawke, David played a central role in the audacious period of financial reform that liberalised the Australian economy. At a personal level, David overcame the scars of his father's bankruptcy, excelled at the London School of Economics, and uncovered eye-watering corruption in his work at the IMF in Washington. That was all before returning home to Canberra to help make Australia's economy what it is today. He has worked on both sides of the public / private divide, in a career path that was somewhat less than traditional. As a journalist, Leigh Sales often encounters people experiencing the worst moments of their lives in the full glare of the media. But one particular string of bad news stories - and a terrifying brush with her own mortality - sent her looking for answers about how vulnerable each of us is to a life - changing event. What are our chances of actually experiencing one? What do we fear most and why? And when the worst does happen, what comes next? Any Ordinary Day is about what happens when ordinary people, on ordinary days, are forced to suddenly find the resilience most of us don't know we have. 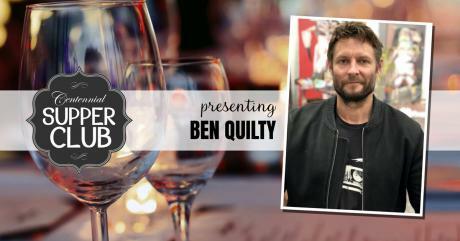 Tickets: $90 per person and includes two courses and a glass of wine. Charles Massy's previous bestselling book, Breaking The Sheep's Back, exposed the $10 billion collapse of the wool industry. This time in Call of the Reed Warbler he turns his forensic eye on how we farm and grow food. Using his personal farming experience as a touchstone, he tells the real story behind industrial agriculture and the global profit-obsessed corporations driving it. He shows how innovative farmers are finding a new way, regenerating their land and witnessing astounding transformations. Evocatively, he captures what it truly means to live in connection with the land. For farmer, backyard gardener, food buyer, health worker, policy maker and public leader alike, Call of the Reed Warbler offers a clear vision of a sustainable future for our food supply, our landscape, our health and our Earth. In his latest book journalist and author Richard Glover takes us on a journey through time to an almost unrecognisable Australia. It's a vivid portrait of a quite peculiar land: a place that is scary and weird, dangerous and incomprehensible, and, now and then, surprisingly appealing. It's the Australia of his childhood. The Australia of the late 60's and early '70s. 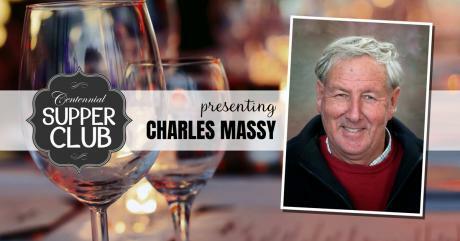 Tickets: $75 per person and includes two courses and a glass of wine. We invite you to join author and publisher Ken Wilder for the launch of his new book Signs of the Times. This is How It Was. U3A (University of the Third Age) is an organisation with lifelong learning at its core, aimed at people in their later years, or third age, retired or semi-retired. It is entirely operated by members. U3A Southern Highlands is very fortunate to have Ken Wilder as one of our members and teachers. For several years Ken has contributed to our learning by offering many very popular and extensively researched courses which draw on his love of reading and literature, his own fascination for learning and his vast array of amazing professional and life experiences. Signs of the Times is a fascinating compilation of just ten of those wonderful courses. Ken will be talking about 'Signs of the Times. This Is How It Was' on Thursday 22 November at 10:30am in The Garden Room Annesley, Bowral. Join journalist Kerry O'Brien as he sits down to chat with fellow journalist Deb Richards about the big events, the lessons learned and lessons ignored, of a private life lived in the public eye. Kerry O'Brien's career of over fifty years has spanned the post-war era through the maelstrom of the nuclear and digital age, a remarkable time of intense and dynamic change that has no match in human history. He has witnessed life changing events, interviewed the great and good, and explained the intricacies of the world to millions of Australians as we sat in the comfort and safety of our lounge rooms. In Australia, he has watched thirteen prime ministers come and go and has called the powerful to account without fear or favour as he has sought to unearth the truth behind the news. Stephanie Alexander is a national treasure whose indefatigable determination and uncompromising dedication has forever influenced the eating habits of Australia. Everything she has achieved and worked towards has been driven by her desire to break down anxieties about cooking, to emphasise the beauty of produce fresh from the garden and to promote the pleasures of sharing around a table. The Cook's Companion is regarded as an Australian classic. In 2014 Stephanie became an Officer of the Order of Australia in recognition of her work with the Stephanie Alexander Kitchen Garden Foundation. Her newest book The Cook's Apprentice is the essential teaching cookbook for the younger cook (or the not-so confident older cook) who's just starting out. This wonderful book is full to the brim with everything new foodies need to know to become relaxed and confident in the kitchen. The Cook's Apprentice gives those new to cooking the inspiration needed for a lifetime of enjoyment in the kitchen. Join Stephanie for Morning Tea to hear her chat about food, how it grows, and the pleasure cooking and sharing food can bring. Best-selling Australian author of The Dressmaker, Rosalie Ham is back with a brand new darkly satirical novel The Year of the Farmer, about the residents of a small country town battling the elements and one another. The last few years have been punishingly dry, especially for the farmers, but otherwise, it's all Neralie Mackintosh's fault. If she?d never left town then her ex, the hapless but extremely eligible Mitchell Bishop, would never have fallen into the clutches of the truly awful Mandy, who now lords it over everyone as if she owns the place. Meanwhile the head of the local water board - Glenys 'Gravedigger' Dingle - is looking for a way to line her pockets at the expense of hardworking farmers already up to their eyes in debt. As president of the Human Rights Commission, Gillian Triggs advocated for the disempowered, the disenfranchised, the marginalised. She withstood relentless political pressure and media scrutiny as she defended the defenceless for five tumultuous years. How did this aspiring ballet dancer, dignified daughter of a tank commander and eminent law academic respond when appreciative passengers on a full airplane departing Canberra greeted her with a round of applause? Her passionate memoir Speaking Up is an irresistible call to everyone who yearns for a fairer world. She dares women to be a little vulgar and men to move beyond their comfort zones to achieve equity for all. And she will not rest until Australia has a Bill of Rights. Join Archibald Prize winning artist Ben Quilty as he sits down with interviewer and media host Andrew Denton to discuss his new book, Home. Drawings by Syrian Children. Ben has assembled this heartbreaking and awe-inspiring collection of drawings by Syrian children. These drawings form an extraordinary testament to the resilience of a generation of survivors whose childhood has been shaped by the worst war of our century. Their art speaks directly to us all as human beings, and we have an obligation to listen closely and seriously. Proceeds from the sale of this book will directly support World Vision's Child Friendly Spaces, early childhood and basic education projects in Syria, Lebanon, Jordan and Iraq. Markus Zusak is the author of five books, including the international bestseller, The Book Thief, which spent more than a decade on the New York Times bestseller list, and is translated into more than forty languages establishing him as one of the most successful authors to come out of Australia. In 2013, The Book Thief was adapted to film. Markus Zusak makes his long-awaited return with Bridge of Clay, a profoundly heartfelt and inventive novel about a family held together by stories, and a young life caught in the current: a boy in search of greatness, as a cure for a painful past. Sarah Ferguson is an award winning journalist at the ABC who has presented 7.30 and is currently the anchor of Four Corners. In 2016 she presented the acclaimed three-part ABC documentary The Killing Season on the Rudd/Gillard government, and the companion book The Killing Season Uncut. Sarah has been awarded won five Walkleys and also won five Logies for most outstanding public affairs reporting. Sarah's most recent book On Mother was written following the sudden and inexplicable death of her mother and her need to understand the truth behind her mother's tragic death and to come to terms with it. On Mother is a deeply personal and intimate reflection on their relationship, and on the complex bonds of mothers and daughters, and life. The Southern Highlands of New South Wales is an area renowned for its seasonal beauty and magnificent gardens. Behind tall green hedges and beyond sprawling drystone rock walls are an amazing variety of garden designs featuring grand tree-lined avenues and wide lawns, crisply manicured sculpture and potager gardens, elegant stables, vast lakes and perfectly proportioned water-lily ponds. Emerging from early morning mist and set amongst rolling green hills it could be a touch of English countryside but these are the most beautiful Australian gardens, created with love, vision, determination and within the unique embrace of a charming sense of local community. This divine book reveals not just hidden private gems but also the very personal story behind each garden. 'Beyond the Garden Gate: Private Gardens of the Southern Highlands' will be launched by designer and local garden owner, Collette Dinnigan. Tickets $30 - Champagne and canapes. Bookings Essential. Michael Robotham is one of Australia's most successful crime writers, whose psychological thrillers have been published to international acclaim. Before becoming a novelist, Michael was an investigative journalist working across America, Australia and Britain. As a journalist and writer, Michael investigated notorious cases such as the serial killer couple Fred and Rosemary West. He has worked with clinical and forensic psychologists as they helped police investigate complex, psychologically driven crimes. Michael has won multiple awards for his work, including the Crime Writers' Association Gold dagger Award, the Ned Kelly Award and the ABIA General Fiction of the Year for The Secrets She Keeps. Michael Robotham returns with a new brand-new thriller that will keep you on the edge of your seat until its shocking climax. With The Other Wife , he writes his final Joe O'Loughlin novel. Michael Mosley trained to be a doctor at the Royal Free Hospital in London and went on to work as a science journalist, executive producer and well-known television presenter with the BBC. He is one of the world's foremost health experts, at the frontier in science, health and diet. Michael is the author of the internationally bestselling 5:2 Fast Diet , The 8 Week Blood Sugar Diet and The Clever Guts Diet and presenter of several television documentaries including Trust Me, I'm a Doctor, and The Search for Modern Medicines, The Truth about Exercise and Meet the Humans. He has a game-changing and practical approach to dealing with the silent epidemics of our time - raised blood sugar levels or type 2 diabetes, strokes, dementia, and cancer. National Palliative Care Week (20-26 May) is an annual awareness raising week organised by Palliative Care Australia. The theme for this year's National Palliative Care Week is 'What matters most' and addresses the need for Australians to plan ahead for their end-of-life care and discuss it with their loved ones and health professionals. In South Western Sydney we are very fortunate to have an innovative team of researchers and practitioners motivated to offer palliative services to our community. Liverpool Hospital intensivist Professor Ken Hillman, is part of this team. Ken Hillman has worked in intensive care since its inception. But he is appalled by the way the ICU has become a place where the frail, soon-to-die and dying are given unnecessary operations and life-prolonging treatments without their wishes being taken into account. His book A Good Life to the End will embolden and equip us to ask about the options that doctors in hospital should offer us but mostly don?t. It lets us know that there are other, gentler options for patients and their loved ones that can be much more sympathetic to the final wishes of most people facing the end of their lives. Recently, Bowral & District Hospital has secured a full time palliative care specialist nurse position who works with the multi-disciplinary team within the hospital for symptom management and end of life care for patients with life-limiting illnesses and conditions. 'This is a love story - of the love between a man and a woman, and between a mother and a daughter. The themes are contemporary - female friendship, single parenthood, the nature of memory, and above all middle-class domestic violence. A Perfect Marriage is an enthralling new book by Alison Booth, author of the critically acclaimed Stillwater Creek , The Indigo Sky , and A Distant Land . to deliver a more stable or harmonious society. Individualism is rampant. Income inequality is growing. We are more socially fragmented, more anxious, more depressed, more overweight, more medicated, deeper in debt and increasingly addicted. Yet Hugh Mackay remains optimistic and determined to be part of the solution. He offers some compelling proposals for a more compassionate society and a call to action to everyone who loves Australia enough to want to make it a better place for us all. The Whole Bright Year is an intense, seductive new novel from the creator of Offspring, and master Australian storyteller, Debra Oswald. Debra is a two-time winner of the NSW Premier's Literary Award and the creator/head writer of the first five seasons of the TV series Offspring. Her other television credits include Palace of Dreams, The Secret Life of Us, Sweet and Sour, Bananas in Pyjamas and award-winning episodes of Police Rescue. Debra?s stage plays have been produced around Australia and she also writes for a younger audience. Her first adult novel, Useful , was published in 2015. How do we protect the people we love? The Whole Bright Year is underpinned by the Greek mythology of Demeter and her daughter Persephone. It's a story about the urge to safeguard the people we love but still allow them to go out into the perilous world. A mother protecting her daughter, children shielding their parents from pain, a sister trying to rescue her brother, young lovers yearning to save each. Michael Pembroke is a writer, historian, and naturalist. He has been a judge of the Supreme Court of New South Wales since 2010. Michael is the author of the acclaimed historical biography Arthur Phillip - Sailor, Mercenary, Governor, Spy, which was shortlisted for the Prime Minister's Literary Awards and runner-up in the National Maritime Museum history award. His most recent book is Korea - Where the American Century Began. Sally Hepworth has lived around the world, spending extended periods in Singapore, the U.K. and Canada, where she worked in event management and Human Resources. While on maternity leave, with her second child, Sally wrote the best-selling novel The Secrets of Midwives . Her new novel The Family Next Door is a novel brimming with power and intrigue. The safest suburbs often hold the deepest secrets. Such is the case for Essie, a mother of two. In a moment of maternal despair she once made a terrible mistake, one she will always regret. Her neighbours in Pleasant Court have their own issues. Driven and organised, Ange appears to have everything under control, except perhaps her husband. Practical, intellectual Fran can't stop running. For exercise, or something else? One day in February during an unprecedented Melbourne heatwave, someone new arrives. Isabelle is single and childless, when everyone else is married with kids. She is renting, when everyone else owns. Isabell's job is mysteriously vague. Strangest of all, Isabelle is very curious about her neighbours. Too curious, some might say. It soon becomes clear that Isabelle's choice of neighbourhood was no accident. And that her presence might bring even more secrets to light. Outspoken, unexpected and refreshingly honest, Jacqui Lambie has always stood out from the mainstream of Australian politicians. During her time in Parliament she was perhaps the most authentic, heartfelt and unscripted voice in the Senate. She's been a tireless and highly effective campaigner for the things she passionately believes in, such as a better deal for our military veterans and a better system of care for those afflicted by the scourge of ice addiction. These are real issues for her, things she?s lived through and not just hot-button issues raised by focus groups. So, for anyone who knows Jacqui, her resignation from the Senate is just an interruption in her unique career representing Australians who've previously had little access to the corridors of power: the veterans, the single mums, the welfare recipients, the families of ice addicts. Christopher is one of Australia's favourite radio personalities, best known for presenting ABC Classic FM's Breakfast and Drive programs and ABC Classic FM's Mornings show. "Love cannot express the idea of music, while music may give an idea of love." Romantic composer Hector Berlioz should know. He didn't just hear the symphony when he fell in love with an Irish actress back in 1827, he wrote it. What was love like for the people who could really feel that song coming on? Symphony of Seduction tells of the romantic misadventures, tragedies and occasional triumphs of some of classical music's great composers, and traces the music that emerged as a result. For the eccentric Erik Satie, love came just once - and even then, not for long. Robert Schumann had to take his future father-in-law to court to win the right to marry. Hector Berlioz planned to murder a two-timing fiancée while dressed in drag, and Richard Wagner turned the temptation of adultery into a stage work that changed the course of music while rupturing his own marriage. Debussy's love triangle, Brahms? love for the wife of his insane mentor - all find expression in works we now consider to be some of the summits of creative achievement. Peter Fitzsimons is Australia's bestselling non-fiction writer, and for the past 30 years has also been a journalist and columnist with the Sydney Morning Herald and the Sun Herald. He is the author of a number of highly successful books, including Kokoda, Ned Kelly and Gallipoli, as well as biographies of such notable Australians as Sir Douglas Mawson, Nancy Wake and Nick Farr-Jones. His passion is to tell Australian stories, our own stories: of great men and women, of stirring events in our history. His latest book is Burke & Wills The Triumph and Tragedy of Australia's most famous Explorers. Kerri-Anne Kennerley is Australia's queen of television. But behind the glamour of a public life is a private woman. Her memoir A Bold Life is the tale of a Sandgate girl who chased her dream of being a cabaret star to New York, only to find herself stranded in a violent marriage to a dangerous drug addict. It's the journey of a unique and driven woman who built a remarkable 50-year career in one of the most fickle and male dominated industries of all and instigated some of the most iconic moments in Australian TV history along the way. Yet away from the spotlight Kerri-Anne has stared down a series of personal crises with grace and dignity, the latest in 2016 when a freak fall left John, her devoted husband of 33 years, a quadriplegic. On their long road to recovery, Kerri-Anne found herself reflecting on a lifetime's memories, good and bad. The sixties was a decade of safari suits, shift dresses, capri pants and droopy moustaches. Of French onion soup, junket, tripe and Bloody Marys. Of success on the world's sporting stage and of social and political stirrings at home, as Baby Boomers and their parents began to see the world differently. In the new book Living the 1960s award-winning and much loved actor Noeline Brown provides a colourful social history on what life was really like in 1960s Australia. Told with her trademark dry sense of humour and storyteller's gift, Noeline explores the politics, sport, arts, social tribes, music, fashion, women and family, and city life that defined the era. Living the 1960s paints a picture of a decade that didn't just swing - it twisted, stomped and screamed. For Noeline, as for a generation of Australians, it was the most important decade of her life. Living the 1960s is a trip down memory lane for Australians who experienced the sixties and an entertaining social history for those who want to know what it was like to live it. We invite you to join Sofie Laguna, winner of the Miles Franklin Literary Award for her book Eye of the Sheep , as she discusses her gripping new book The Choke . Set in early 1970s Australia, The Choke is a brilliant and haunting novel about a child navigating an often dark and uncaring world of male power, guns and violence. Abandoned by her mother and only occasionally visited by her secretive father, Justine is raised by her pop, a man tormented by visions of the Burma Railway. Justine finds sanctuary in Pop's chooks and The Choke, where the banks of the Murray River are so narrow it seems they might touch - a place of staggering natural beauty. But the river can't protect Justine from danger. Her father is a criminal, and the world he exposes her to can be lethal. Justine has to make sense of it on her own - and when she eventually does, she knows what she has to do. The Choke is a compassionate and claustrophobic vision of a child in danger and a society in trouble. Sofie Laguna once again shows that she is a writer of originality and blazing talent. Join us for Morning Tea at Centennial Vineyards Restaurant on Friday 13 October at 10:30am. Tickets $30. Bookings Essential. Jane Harper is the multi award winning author of the best-selling crime novel The Dry. Jane won the Victorian Premier's Literary Award for an Unpublished Manuscript for The Dry in 2015. The debut novel went on to win the 2017 Australian Book Industry Awards Book of the Year and General Fiction Book of the Year, and the Indie Book of the Year and Indie Debut of the Year. Rights to The Dry have been sold to over twenty-five countries with film rights sold to Reese Witherspoon and Bruna Papandrea. Jane's new novel Force of Nature sees the return of Federal Police officer Aaron Falk, this time facing a fresh mystery in the wilds of the Australian bushland. Petrea King is the CEO of the Quest for Life Foundation. Petrea came to the forefront of wellness education after overcoming acute myeloid leukaemia in her early thirties. Motivated by her own experiences, she founded the Quest for Life Foundation to support people suffering devastating physical and mental illnesses. She sees crisis as a catalyst for personal growth, understanding, healing and peace. Up Until Now is her inspirational tale of how she overcame her own challenges to dedicate her life to others. Tony Jones is one of Australia's most respected journalists. After an ABC cadetship, he joined the television program Four Corners as a reporter in 1985, and then went to Dateline at SBS in 1986. He subsequently was an ABC foreign correspondent, for a time in London and later Washington, and for many years presented the ABC TV current affairs program Lateline. Today he hosts the ABC's public affairs program Q&A. Terrorism, politics and betrayals collide in The Twentieth Man, his first novel. Join us for this very special event with Gail Kelly, the first female CEO of one of Australia's big four banks, and one of our finest, most innovative thinkers on leadership and workplace culture. Gail will share the inspiring personal story of how she started as a Latin teacher and mother of four (including triplets) to become one of the world's most prominent business people, as well as give a practical insight into the valuable lessons she's learned about the importance of leading with courage, putting people first, backing yourself, and placing your family above all things. 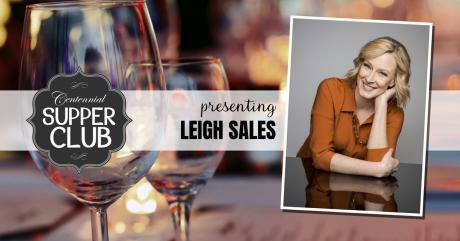 TICKETS - $95PP - Lunch + copy of Gail's book Live: Lead: Learn. My Stories of Life and Leadership. "Dear Ailsa, Sometimes I wonder whether the friendship that has caught us both-a most unlikely friendship I must confess-might find an echo in a far off Irish village somewhere in the wild, windy hills of old Donegal. Or am I allowing that uncontrollable imagination of mine too much slack"
When priest and Sydneysider Tony Doherty emailed Melbourne-based writer, actress and intrepid traveller Ailsa Piper to say how much he had enjoyed her memoir Sinning Across Spain , he was met with a swift reply from a similarly enquiring mind. Soon emails were flying back and forth and back again. They exchanged stories of their experiences as sweaty pilgrims, dissected dinner party menus, discussed family and faith and friendship, and wrestled with what it means to love and to grieve. The correspondence of these most unlikely of friends has been collected in The Attachment , their letters, an entertaining and moving conversation and celebration about the big and the little things of life. Rebecca Huntley is a social researcher, writer and broadcaster. Her recent book is Still Lucky: Why You Should Feel Optimistic About Australia and Its People. For more than ten years, Rebecca has travelled the country from small country towns to big metropolitan cities gathering insight into how we feel about this country's past, present and future. She has been in a uniquely privileged position inside our homes, workplaces, clubs, local cafes, men's sheds and community centres listening to thousands of Australian friends talk about their thoughts, concerns and anxieties on everything from interest rates to childcare, from FOMO to queue-jumping, and from hip surgery to Tinder dates. And after a decade of asking questions, listening to, and analysing the answers, Rebecca Huntley knows what Australians are really thinking. Are Australians still lucky is the question. Mia Freedman is a writer, broadcaster, author and co-founder and creative director of the Mamamia Media Company, Australia's largest women's digital media and podcast company. Mia hosts two podcasts, makes regular appearances on TV and radio, and is the author of four books. In her newest book Work Strife Balance Mia shares with refreshing honesty personal stories of her career, successes, setbacks and lessons learned.
" At Mamamia we call it FLEARNING - failing and learning. Learning through failing. In my teens, 20s, 30s and 40s, I've done a lot of both." David Marr is a journalist and broadcaster who has written for the Guardian Australia, The Saturday Paper, The Age, The Sydney Morning Herald, and the National Times. He was a presenter of ABC TV's Media Watch and appears on Insiders and Q&A. David is the author of numerous biographies and books on Australian politics. In the new Quarterly Essay, The White Queen: One Nation and the Politics of Race, David looks at Australia?s politics of fear, resentment and race and prejudice. David Marr will be joined in conversation by journalist William Verity. 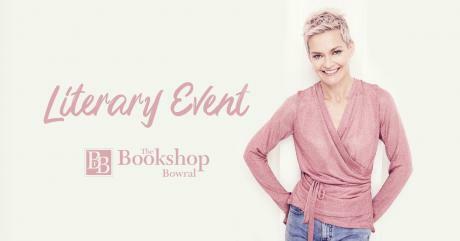 Former Vogue Australia Beauty Director Stephanie Darling reveals her Secrets Of A Beauty Queen in-store at The Bookshop Bowral. Tickets: $15 includes wine and canapes. The Honourable Dame Quentin Bryce AD CVO has enjoyed a rich and distinguished career as an academic, lawyer, community and human rights advocate, senior public officer, university college principal, and vice-regal representative in Queensland and Australia. As Australia's first female Governor-General, Quentin Bryce handwrote fifty or so letters each week. They were to people she had met and connected with as her role took her from palaces to outback schools, from war zones to memorials, from intimate audiences to lavish ceremonies. Generous, witty and always heartfelt, Dear Quentin: Letters of a Governor-General is a rich collection of the letters Quentin Bryce wrote and received during her term. Quentin Bryce will be in-conversation with Hugh Mackay. All royalties are being donated to support the life-changing research at Murdoch Childrens Research Institute. Adventurer and environmentalist Huw Kingston entertains with stories from his book Mediterranean - a year around a charmed and troubled sea . In 2014-2015 Huw circumnavigated the Mediterranean by kayak, foot, rowboat and bike from Gallipoli back to Gallipoli - a 12 month, 17 country journey of 13,000km. A fascinating story of adventure travel, endurance and above all the power of human kindness at a time of turmoil around that sea. Huw is an ambassador for Save the Children and has numerous awards including the Australian Geographic Spirit of Adventure Award and was named one of Time Magazine's 25 Worldwide Responsibility Pioneers. Bill Gibson: Pioneering Bionic Ear Surgeon is the biography of a distinguished ear, nose and throat surgeon, who is world expert in Menière's disease and cochlear implant surgery. In 1984, he restored the hearing of two young women who were some of the first to receive the commercialised bionic ear, pioneered by Professor Graeme Clark and his team in Melbourne in 1978. Three years later, in 1987 Professor Gibson operated on the first paediatric recipient in the world of the bionic ear. Tina Allen worked as a medical scientist for ten years before becoming a medical writer and editor. Over the past twenty years she has written feature stories for GP magazines, edited a peer-reviewed medical journal and most recently worked as the consultant medical writer for a division of Ramsay Health Care. Tina lives with her family on a farm near Berrima and this is her first book. 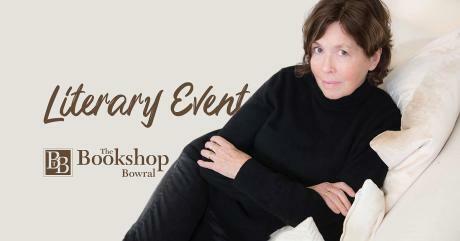 Join us in-store for a glass of wine and canapes to hear Tina talk about the inspirational subject of her biography. Caroline Baum is a respected journalist and presenter. She has worked for the BBC, ABC, Time Life Books, Vogue magazine (UK and Australia), and was the founding editor of Good Reading magazine. Much in demand as a presenter at writers' festivals across Australia and Caroline has interviewed many of the world's top international authors. Caroline is a regular contributor to national media and her writing has appeared in two anthologies: My Mother My Father and Rebellious Daughters. She is the recipient of the Hazel Rowley Fellowship 2015. Her new book is Only A Singular Memoir. Mark Colvin is the voice of ABC Radio's leading current affairs program PM. He has been covering local and global events for more than four decades, reporting on wars, royal weddings and everything in between. Mark was witness to some of the most world-changing events but when he contracted a life-threatening illness while working in the field, his life changed forever and he returned to Australia as presenter of PM in 1997, a job he has continued to do despite three years on dialysis and a successful kidney transplant. In the midst of all this he discovered that his father was an MI6 spy. Adam Liaw is one of Australia?s favourite foodie celebrities and former winner of Masterchef. A former lawyer, Adam worked in the corporate world for more than a decade before a career change to the culinary world. He hosts the popular SBS television food and travel series Destination Flavour, Destination Flavour: Japan, and Destination Flavour: Scandinavia, is the author of numerous cookbooks and regularly contributes to the Sydney Morning Herald and various magazines. His new cookbook THE ZEN KITCHEN shows the family cook how easy it is to create healthy, delicious Japanese meals at home. In England's northern capital of York, birthplace of some of the most famous chocolate brands in the world, passionate, forward-thinking Alexandra Frobisher longingly dreams of a career in a time when women of her status were expected to simply marry into a wealthy family and bear children. While the men of York are fighting in France during the Great War, at home the women are busy supporting the war effort. Alex finds herself volunteering in the heart of the Rowntree chocolate factory packing tins to be sent to the soldiers fighting for their lives, and their country, on the front line. At the end of the war Captain Henry Blake discovers a chocolate tin on a dead soldier in the trenches in France and inside a note that his sweetheart has lovingly sent him. He feels compelled to return the chocolate tin and its love letter to its sender. His search to find the sender takes him to York. The Chocolate Tin is a sensuous novel about family duty, honour and the intoxication of forbidden love; and chocolate. Fiona McIntosh enjoyed a long career in the travel industry before becoming an author, and continues to travel the world for inspiration. The Chocolate Tin took her all over Europe to the famous chocolate destinations of Belgium, Bruges, Switzerland and Austria, as well as the battlefields of Northern France. It was when she visited York Chocolate Museum and discovered a chocolate tin from the front line, and learnt of its origin, that her story really took its hold. William McInnes, entertainer and author, takes a look at the Aussie obsession with sports and pop culture in his latest book Full Bore. A chance encounter in an auction house is the jumping-off point for William's inimitable take on our sport-obsessed nation, Australian popular culture and the artefacts and memorabilia that both make us cringe with recognition and laugh with warm affection. His trademark humour and anecdotes litter this collection of truly Aussie stories: about us, and about the things - and the people - in our lives. "It wasn't just one person who went missing, it was two people. Two very different people. They were there, and then they were gone, as if through a crack in the sky. After that, in a small town like Goodwood, where we had what Nan called 'a high density of acquaintanceship', everything stopped. Or at least it felt that way. The normal feeling of things stopped." Goodwood (a fictional town set very close to Bowral) is a town where everyone knows everything about everyone. It's a place where it's impossible to keep a secret. Holly Throsby is a Sydney-based songwriter and musician. She has a distinctive lyric and a distinctive voice and has brought both to GOODWOOD, her first novel, to create something truly special. Hannah Kent is the author of the best- selling novel Burial Rites, the story of Agnes Magnusdottir, the last person to be executed in Iceland. Hannah won the inaugural Writer Australia Unpublished Manuscript Award and since its publication in 2013, Burial Rites has been translated into nearly thirty languages and has received numerous awards and nominations. Hannah is also the co-founder of Australian literary journal Kill Your Darlings. Her new novel is The Good People, a story of three women brought together by strange and troubling events in Ireland in 1825. Not so long ago, award winning author Sulari Gentill was a corporate lawyer serving as a director on public boards, with only a vague disquiet that there was something else she was meant to do?other than turning off the iron. That feeling did not go away until she began to write. And so Sulari became the author of the Rowland Sinclair Mysteries, historical crime novels set in the politically tumultuous 1930s, and the Hero Trilogy, based on the myths and epics of the ancient world. Sulari won the 2012 Davitt Award for Crime Fiction and has been shortlisted for numerous other awards including the Ned Kelly Awards for Crime Fiction. What if they hadn't gone? That's the question Clementine can't stop asking herself. It was just an ordinary backyard barbeque. They didn't know their hosts that well. They could easily have said no. Liane Moriarty is the author of six bestselling novels, Three Wishes, The Last Anniversary, What Alice Forgot, The Hypnotist's Love Story, The Husband's Secret and Big Little Lies. Join us for morning tea at Centennial Vineyards Restaurant to hear Liane Moriarty talk about her new book Truly Madly Guilty . Tickets $12 // RSVP by Thursday 21st July. Join Southern Highlands author B. Michael Radburn for an afternoon of wine, cheese and great storytelling. Join us for a very special event with Tim Winton as he talks about boyhood adventures, movies and road-trips, family and faith, art and writing and reveals the real characters and events behind his novels.